Arguably even more fun than Valentines Day is Galentine's Day. February 13th is a day just to celebrate your girls, the ones that are really always there for you. As you might have guessed, it’s a close second to Christmas for me because of all the pink and hearts! 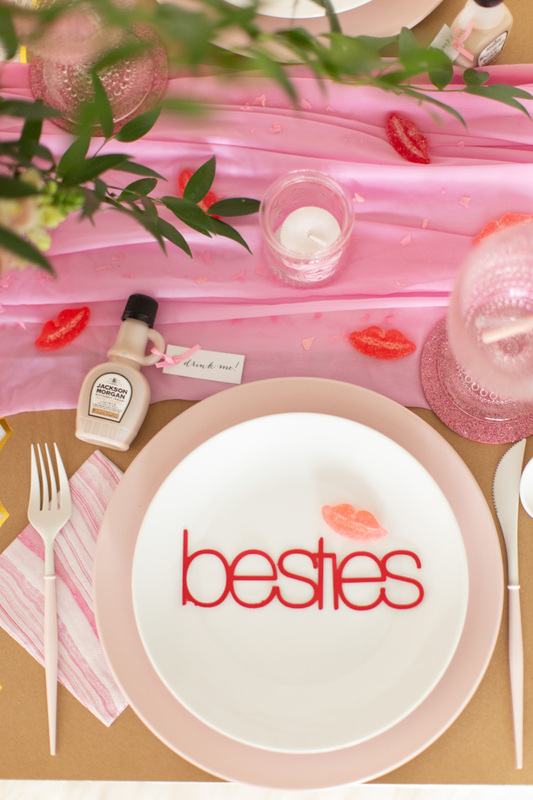 This Galentine's Day, I wanted to go all out to celebrate my besties. 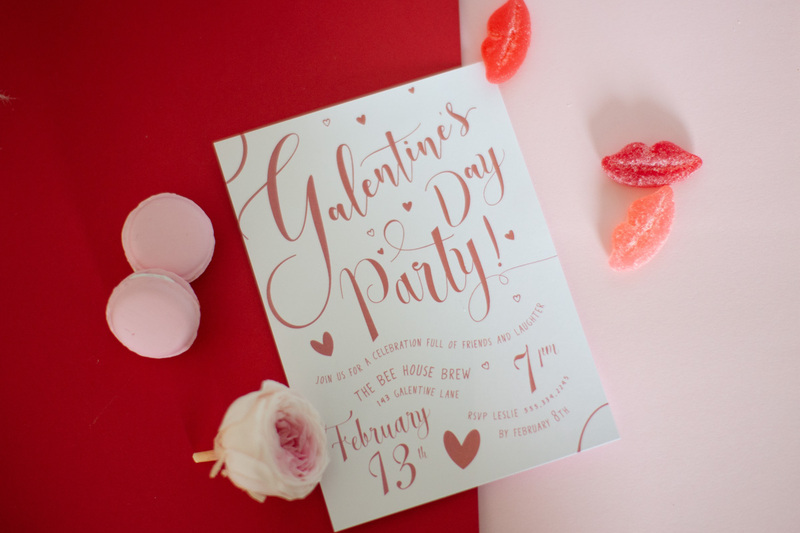 Read on to see how you can throw your own Galentine's Day party! Galentine's Day, according to its founder Leslie Knope of the show Parks and Rec, is traditionally a breakfast with waffles. Although that sounds delish, we opted for after dinner dessert and drinks. Do whatever works for your schedule. 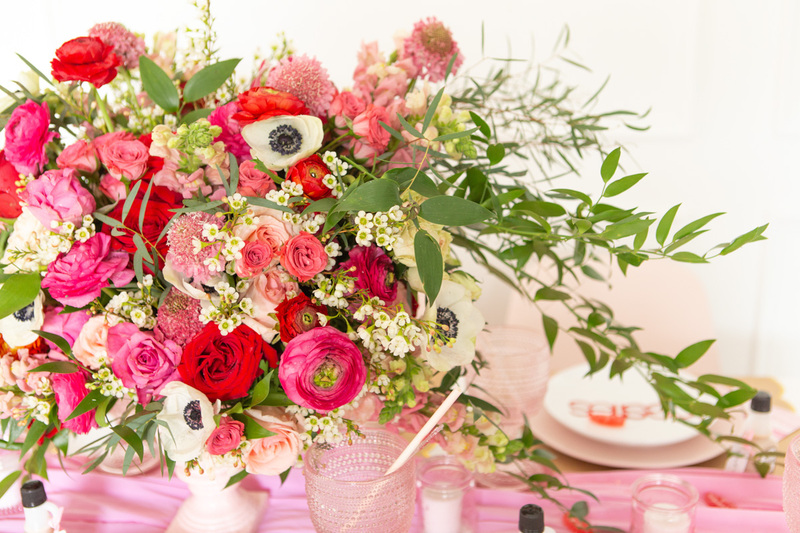 If you want to really wow your guests, a show stopping floral arrangement is the way to do it! 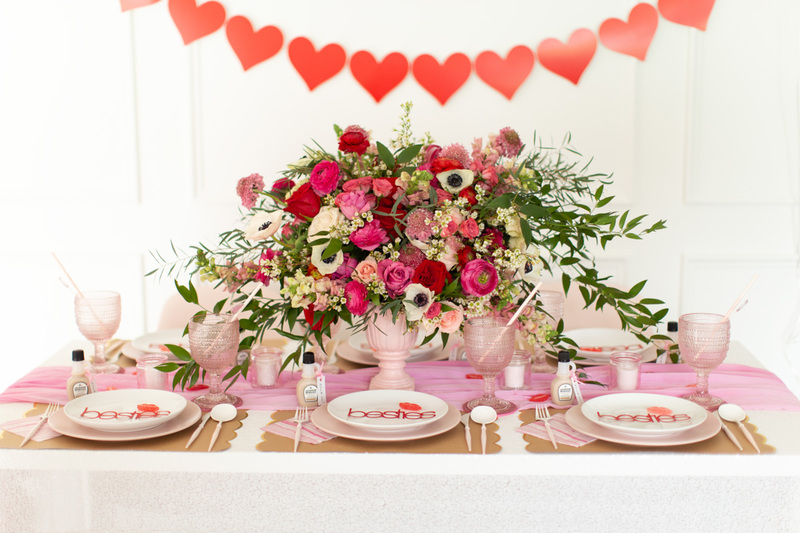 Enlist a florist to work with your budget or read how to make your own here. 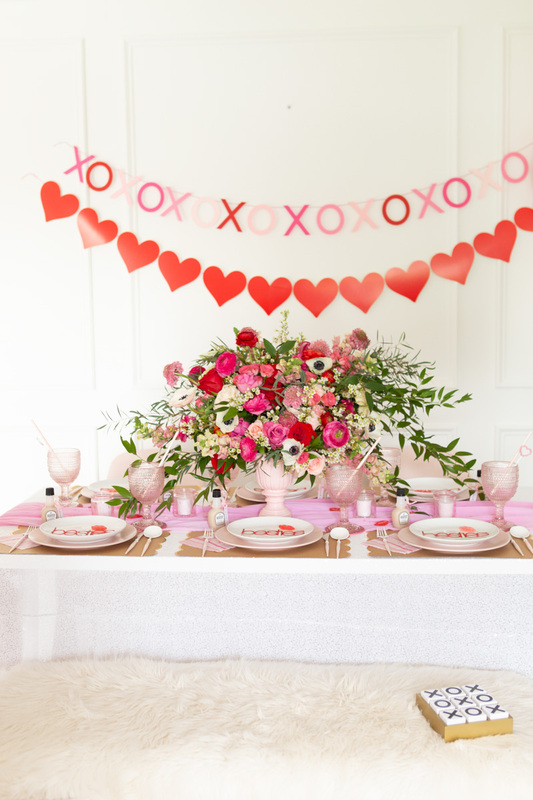 You can use whatever colors you want but if you’re going with the traditional pink, red, and sparkles, try balancing it out with kraft paper placements. Mini Jackson Morgan bottles are a favor adult party favor. It’s the perfect after dinner treat. I love the mini salted caramel for this occasion. Tie little tags with pink ribbon to go with the theme. Add a little sparkle. 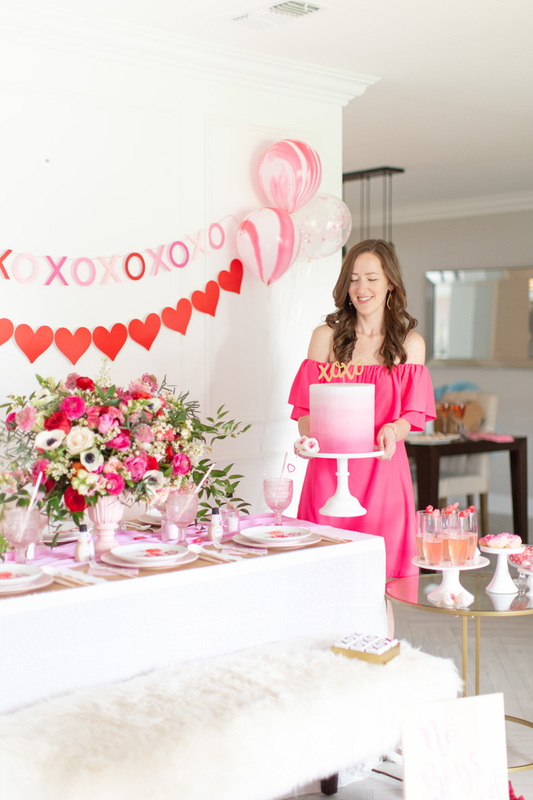 Galentine's Day is all about having fun with your girls. 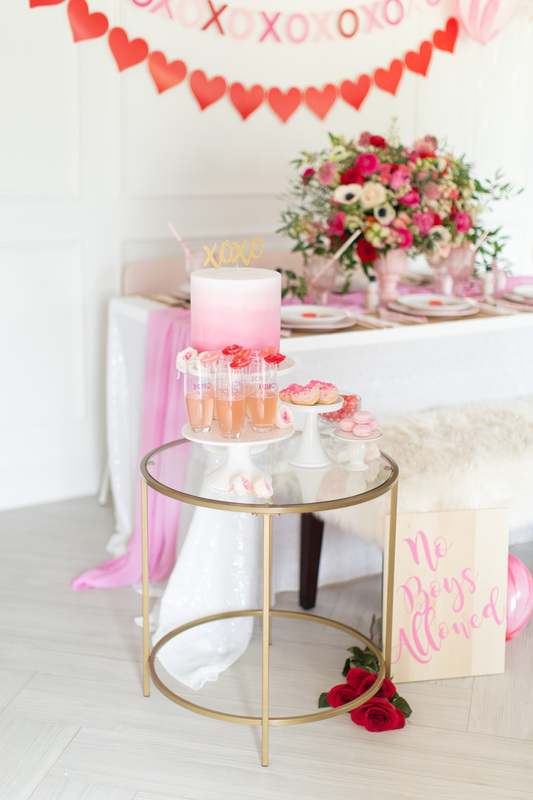 Glam it up a little by adding a sequin tablecloth or sparkly confetti down the table. Try pops of gold instead if you’re not in to glitter. 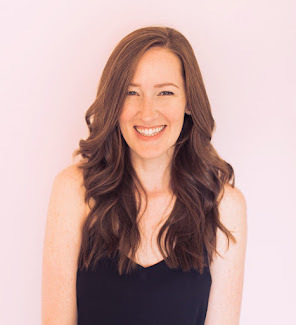 Thank you to Black Twine and Lauren Conrad for Featuring this Party. Thank you to Jackson Morgan for Sponsoring this Post. Sip responsibly. Nice arrangements of drinks and sweets. OMG what a gorgeous set up!